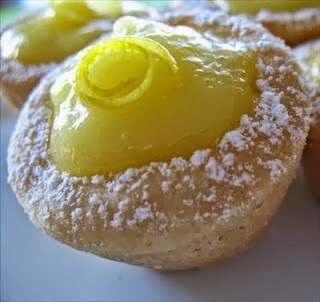 Lemon Cookie Tarts | FoodGaZm..
Is it a cookie or is it a tart ? :) My favorite is lemon. I have made these tarts filled with Bailey's Chocolate Mousse. Also banana cream or coconut pie filling will work nicely to. Remove tart shells from oven working quickly and using the back of a rounded 1/2 tsp measuring spoon gently press a shallow indentation in each shell. (Don't let them cool or it will be harder to get them to form a shell).